The common complaint about the government, from the visiting foreign diplomat down to the person on the street, has been that the government’s progress has been slow. But progress has also been steady. The five days set aside for the debate and discussion on constitutional reform provides yet another indication that the country is heading in the correct direction despite all its problems of continuing corruption, slow economic progress and reluctance to face up to the human rights violations and associated tragedies of the three decades long war. During the parliamentary debate on the report of the constitutional steering committee all political party leaders, with one exception, noted that the present time offers a unique opportunity to address the country’s problems of governance. Although there was no consensus on the positions taken by the different political parties on the substance of the options for constitutional reform during the debate, there was a broad consensus on another equally important matter. This was the implicit agreement among all the parties that the matters that were being debated were important to the country, and needed to be discussed at length, and they were prepared to do so. Prime Minister Ranil Wickremesinghe focused on the process of constitutional reform stressing that all, including religious clergy and general public, and not just the parliamentarians, would be given an opportunity to contribute to the reform process. The government needs to be congratulated for creating an environment, and bringing the polity to a stage of political evolution, in which the UNP, SLFP, JVP, TNA, SLMC, TPA and EPDP are actively taking part in what they consider to be the subject of greatest national interest. The fact that the parliamentary debate has been extended from three days to five is an indication of commitment. In addition, there was a further consensus that the process of meeting, discussing and presenting options must continue and that the agreement to be reached should be as consensual as possible. TNA leader Sampanthan noted that this was the first time that such an exercise in public consultations and indeed parliamentary consultations was taking place. He held that the outcome of this engagement should be to ensure that the polity represented the multi ethnic and plural nature of society. There may not have been agreement on the content of the solutions but there was an overwhelming agreement that this is the time to address problems that cannot be neglected any longer. Adding to the strength of the ongoing process was the participation of the Joint Opposition led by former President Mahinda Rajapaksa. The former president complained that the Joint Opposition had not been given an equal opportunity to have its views included in the Steering Committee report. From a narrow political perspective, the Joint Opposition’s desire would be for the constitutional reform process to fail, as it would further discredit the government, which is being criticized for its slow speed in other areas of governance as well. However, the Joint Opposition has kept on participating in the constitutional reform process due to the realization that it has the interest of the general public, and that the country’s intelligentsia believes it is necessary. Therefore, if they keep out of the process, they risk being marginalized and being found fault with for not speaking up and not taking action when they had the opportunity to do so. Both public opinion polls and prevalent public opinion on the street shows that most of the population believe constitutional reform is important, not least because the present constitution is defective and needs to be changed in a comprehensive manner. From the time that the present constitution’s executive presidential system was first perceived to be abused by former president J R Jayewardene, political parties, their leaders and both academic and civil society opinion formers have critiqued the constitution and called for its replacement. Therefore, the popular movement to change the present constitution has a much longer history than the government’s present bid to formulate a new constitution. The second term of former president Mahinda Rajapaksa was also one that revived the movement to change the constitution in the national interest. In this context it is ironic that today those in the Joint Opposition who abused the existing constitution and eroded its systems of checks and balances when they were in power should be claiming that the government is engaged in a conspiracy to divide the country and is making use of constitutional change for that purpose. Their allegation has received some traction amongst the general population because of the government’s inability to explain its own stance, as it has no unanimity within itself regarding its own stance. Some members of the government have sought to downplay the importance of the unitary state in their effort to accommodate Tamil and ethnic minority concerns. However, other members of the government have heeded the Joint Opposition campaign and are concerned about the impact such criticisms might have on the Sinhala people. In achieving constitutional change the government has to run the gauntlet between the Sinhalese who constitute the great majority of people in the country and whose consent is necessary if a new constitution is to come in to being, and the Tamils, who do not wish to be at the mercy of government politicians and their temporary policies, but wish to have guarantees made into law. 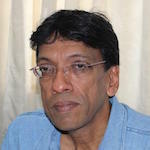 However, the unusual modus operandi of using Sinhala words in the English language version of the proposed constitution, as proposed in the Steering Committee report, has eroded the trust of people in what the government is planning to do, and plays right into the hands of the Joint Opposition who speak in terms of conspiracies. In this context, it will probably be the case that the government will find itself constrained to retain the formulations in the present constitution that have been the subject of controversy. These include the clause pertaining to the unitary state and to the clause giving to Buddhism the foremost place. What is more important is that the rights of the ethnic and religious minorities should be protected and their ability to share in decision making power should be vindicated. It is necessary for the government to convince the Tamil electorate that the constitutional reforms will not be reversed or undone at the discretion of the Sinhalese politicians simply because they are a majority in parliament. This makes it imperative that alternative methods be found to ensure power sharing. An institution of central government that could ensure power sharing could be an upper house of parliament that could be constituted as a chamber of nationalities (Sinhalese, Tamil, Muslim and Indian-origin Tamil) rather than being based on provincial representation. During the Vietnam war, South Vietnam’s Buddhist majority was very discontented with Diệm’s strong favoritism towards Roman Catholics. Public servants and army officers had long been promoted on the basis of religious preference, and government contracts, US aid, business favours and tax concessions were preferentially given to Catholics. The Roman Catholic Church was the largest landowner in the country, and its holdings were exempt from land reform (i.e., appropriation). In the countryside, Catholics were de facto exempt from performing corvée labour and in some rural areas, some Catholic priests led private armies against Buddhist villages and burnt them with US connivance. In 1957, Diệm dedicated the nation to the Virgin Mary. In May 1963, a law against the flying of religious flags was selectively enforced; the Buddhist flag was banned from display on Vesak while the Vatican flag was displayed to celebrate the anniversary of the consecration of Archbishop Pierre Martin Ngô Đình Thục, Diệm’s brother. Many Buddhists defied the ban and a protest was ended when government forces opened fire. With Diệm remaining intransigent in the face of escalating Buddhist demands for religious equality, sections of society began calling for his removal from power. That is why we need that clause to protect Buddhists and Hindus both. You’re Catholic. The willingness of political parties to remain engaged is a good sign, But talk, talk and no consensus. Something radically wrong in the process adopted. But pooling everything in a single basket and talking will lead to nowhere. Leaving nature of state, religion and devolution aside and concentrate only on other issues and try to arrive at a consensus. Negotiation is a skill,if handled properly will lead to narrowing down the differences and then agreement! Heading in the right direction viewed from the point of view of NGOs funded by the west. Heading in the wrong direction viewed from the point of view of ordinary folks in the country. Dumbos in this Government have got the priorities wrong. They gave priority to constitution because that is what the pay masters of regime change want. They have their ulterior motives and do not care for the economy. PM is talking about laying the foundation for a strong economy. The country had a good economy but that guy ruined that. In all the indexes, the country has gone down except in corruption index. The latest blow is with Ease of Doing Business Index. In 2017 for the first time India has surpassed Sri Lanka! This will have dire consequences as foreign investors will prefer India to Sri Lanka. Sri Lanka’s ranking is slipping down by the year. 2013 – 81 (highest ever achieved), 2014 – 89, 2015 – 99, 2016 – 107, 2017 – 111. PM must be laying the foundation on a pile of sand! We had Section 29 in the Soulbury constitution. You know what happened to it. A similar article is what is needed protected, not by internal laws, but spelling out that if such an article is done away with, like Mrs B and her Leftist colleagues did, Tamils can form a separate state with UN intervention. Second chamber is not a safeguard. It can be abolished by parliament too and the majority will go outside parliament and form a new constitution. The major issue is that Two Nations in Sri Lanka are trying to unite to form a State. The question of numbers in each of the Nation has no bearing on the issue. Any solution that does not take the above premise under consideration will not be a lasting solution.